Don't be a ratepayer. Be a customer. Customers have choices. Ratepayers don't. Today 75 million homes in America have smart meters. Soon there will be 100 million. For over 150 years, utility service users have been called ratepayers. Our mission is to transform these ratepayers into customers. Utility companies realize that smart meters solve many of their problems including power outage detection, demand response management, remote service connect/disconnect, power factor monitoring, implementation of multi-variable rate tariffs, reduction of meter reading costs, and, in theory, increased customer satisfaction. The favorable economics to utilities has driven nationwide deployment of smart meters at a rapid rate. Tom Tamarkin filed an amicus curiae or technical “friend of the court brief” with the California Public Utilities Commission (CPUC) in 2005. A year later, Tom provided Southern California Edison a design specification and prototype of a revolutionary smart meter as required by the CPUC. Tom’s smart meter design specification became the industry benchmark standard. Thanks to Tom’s efforts, smart meters aren’t just a breakthrough for utility companies. Inside every smart meter is a hidden ZigBee radio unit designed to communicate power data with the consumer and automatic control devices. 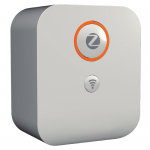 The same ZigBee technology that many home automation systems use today. This radio allows the customer to see their instantaneous and accumulated power use and up to the second costs. Valuable information such as variable rate structures, based on accumulated tiers, time of use, and peak demand, are automatically calculated and displayed, if the consumer has the technology to connect to the meter. However, very few if any utilities are telling this to their customers. The data sent to the customer by this ZigBee radio is the same data the utility receives from the meter and uses to bill the customer. However, the customer has the capability to receive up to the second data whereas the utility receives aggregated data every 24 hours at best. When this real time data is coupled with data residing in the utility’s billing system, the customer has an exact record of all charges including taxes, offsets, and assessments, as well as the synchronization of the ending of the previous billing period and beginning of the current billing period. This can be displayed anytime, anywhere, by a smart phone and the EnergyCite app. Tom Tamarkin has been granted 7 patents worldwide on this system topology whereby utility billing data, real time power data and the display and control of power are integrated. In recognition of his work, Tom Tamarkin was named a Top 50 Industry Pioneer. Whereas some companies offer smart home systems which control lights, appliances, thermostats, and the like, none of these systems communicates directly with the utility through the smart meter; nor do the smart learning communicating thermostats. They only receive price and control signals from the utility; not information derived from the smart meter and utility billing computers. In order for these other companies to offer this real time energy management system technology they would have to develop relationships with the utility companies and practice our patents on an equitable basis or face infringement litigation. Some utilities do offer account profiles on line but the power use data is based on a 24 hour period from data that’s one to three days old. This cannot be used to monitor and control real time power usage. 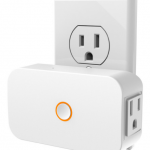 EnergyCite’s Home Automation Gateway allows utility customers to connect their smart meter’s radio to a computer, tablet or mobile device that has the EnergyCite app. Additionally, specific loads such as air conditioners, appliances, pool motors, etc., can be remotely controlled by the customer, based on the total amount of power the house is using in real time. 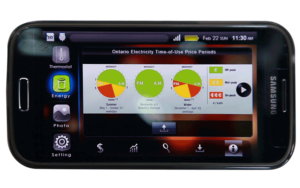 EnergyCite’s home automation products automate the process to insure energy usage is optimized for lowest cost. The EnergyCite Gateway learns the patterns of a household’s energy use. Using artificial intelligence, the Gateway will automatically improve energy management over time. Customers using the EnergyCite products will be able to pay their bill through the app and buy power as needed. This is similar to buying data for your phone, gas for your car, or groceries. No surprises. No more paying whatever the utility company bills you, to keep from having your power turned off. Now, with EnergyCite, you can buy your power as a product, control your usage, and never pay more than you expected. This is a real-time solution for a real-time problem. Thanks to our patented cutting-edge technology, EnergyCite will transform ratepayers into customers. EnergyCite has an entire suite of smart home, smart energy products which can fine tune and automate your use of energy. See our complete catalogue for all products and specifications.